The Hani people are an ethnic group.Over ninety percent of the Hani live in the southwestern Chinese province of Yunnan, scattered across the Ailao Mountains between the Mekong River and the Red River (Yuanjiang). 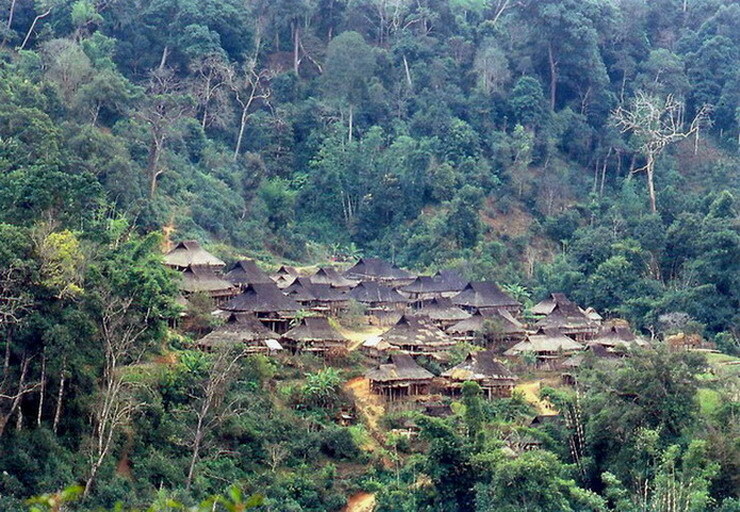 The dwellings of the Hani are usually two or three stories high, built with bamboo, mud, stone and wood. The traditional clothing of the Hani is used made out of dark blue fabric. The men dress in short jackets and in long wide pants. They also wear turbans which are white or black. The women dress depending on which clan they belong to. There is no gender difference in the clothing of children under the age of seven.